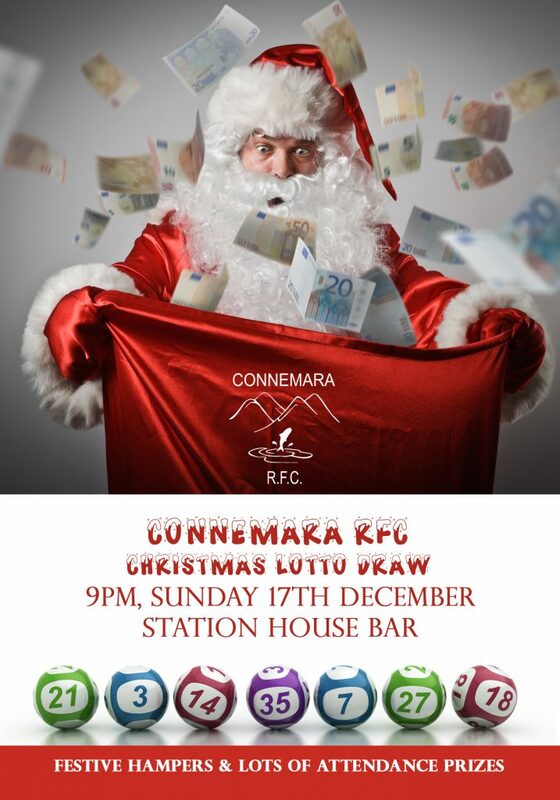 The Connemara RFC Christmas Lotto Draw 2017 will take place in the Station House Bar on Sunday, 17th December starting from 9pm. The draw will include fabulous prizes, hampers, vouchers, attendance prizes and of course the jackpot is up for grabs. All welcome on the night.